Headway Design has built their business foundation from word of mouth. Their professionalism, detailed craftsmanship and creative design are what make them stand out in their industry. 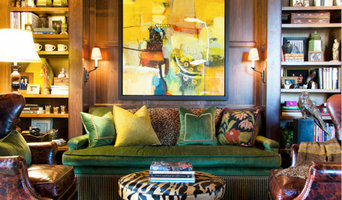 Headway Design creates quality, custom-made furniture for both residential and commercial uses. Headway Design works with you to create furniture that caters to your design needs and décor. Whether it is making the perfect dining room set for entertaining or the bedroom set of your dreams, Headway Design will build it. We also do work frequently for live events and weddings building photo walls, conference tables custom tables and much more! Let us know what you want to be created, and we will deliver a quality custom craftsmanship piece just for you. Dallas' High-End Interior Design Firm & Showroom- Best of Houzz 2016! We create custom furniture by hand-building, hand-finishing and employing old world craftsmanship and techniques to create heirloom pieces. We offer the finest finishing quality of any custom furniture studio in the nation. We have a high level of expertise in the timeless and elegant 1930's and 1940's French modernist designs but are not restricted to that period - we can do anything of any era. We build frames (whether for seating, dining tables, desks, beds, chairs, cocktail tables, bars, etc.) using age old construction techniques to create masterpieces that will last forever. Our pieces are all bench made and hand made here in the U.S.A. of the finest quality materials, with the utmost attention to details and crowned with a stunning finish that will look beautiful for decades to come. We are experts at applying exotic veneers and exotic inlays to create functional works of art made of wood that will become heirloom pieces and last decades. For additional information and details visit the website. Interior Design firm specializing in adding the finishing touches and details that make a space feel stylish and complete. We work in commercial and residential Interior Design, styling, staging, art and accessory consulting, among other services for clients throughout North America. My unique background and my diverse professional experiences have trained me to be flexible and conversant in various styles of décor. I bring special emphasis to details and finishing touches. Whether starting from scratch or working with what you already own and love, my firm can help you create a home or office environment that is stylish, consistently reflecting your personality, interests and values- a place where you will love to live and be proud to share with guests. From one room to entire homes, we collaborate with you and tailor our services to meet your needs and help you achieve your vision for your home. Vintage Headboards makes custom headboards primarily using doors - both old and new. We also make one off designs with old barn wood or by distressing new wood. We re-purpose solid oak flooring to make coffee tables and end tables. Sofa IQ was created out of pure love for furniture and decor and has been dedicated to making beautiful, high quality furniture for clients to enjoy, We specialize in custom sofas, sectionals, chairs, bar stools, ottomans and beds. We also make tables, banquettes, media room paneling and more. Making the clients vision is what sets us apart from the ordinary. Our unique ability to offer sophisticated styling combined with personalizing each item according to the size , configuration, comfort level, fabric and finish details required. Our highest priority is to strive to meet the needs of the client with high level customer service, attention to detail and quality products. Since opening the showroom more than 25 years ago in the Oak Lawn/Turtle Creek area of Dallas, Texas, J. Douglas continues to intoxicate clients with a brilliant mix of classic, high-style home furnishings and accessories in a surprisingly relaxed but elegant showroom. Select Cabinet Company is a manufacturer of fine custom home furnishings. By catering directly to the end user and cutting out the middleman, we can offer custom furniture at factory direct prices. We specialize in Home Entertainment Centers, Home Office Furniture, Built-in Alcoves and Niches, Media rooms and Bedroom furniture. We also do Kitchen and Bath cabinet renovations and other home improvements. All furniture is designed and built to the consumer's specifications. We also do a computer drawing to confirm all details before it is put into production. 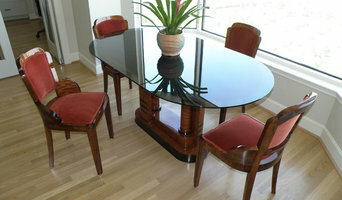 We will do a free on-site measuring and guarantee the fit of your furniture. We service the entire North Texas area - chances are you have a neighbor with our product! Customer satisfaction is our highest priority. Our goal is your happiness with your purchase. In 1973, Roger Horchow created the first luxury mail-order catalog that was not preceded by a store. Committed to offering unique decorative items from around the world, Mr. Horchow is credited with pioneering the use of toll-free phone numbers for placing catalog orders. His distinctive taste and eye for the unique dovetailed perfectly with the founding principles of Neiman Marcus, and in 1988, The Horchow Collection became part of what is today Neiman Marcus Direct, the online and catalog division of The Neiman Marcus Group. 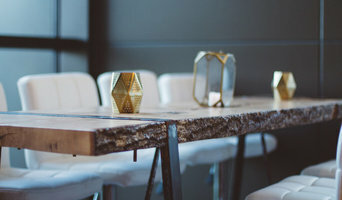 Whatever your situation, it’s always a good idea to do some research before visiting a Dallas, TX retailer or furnitures stores you find online. Start your research right here on Houzz. Read through Dallas professionals’ profile pages to find out location info, look at any photos of their work and check how long they've been in business. Read any reviews by design professionals and find out which furniture makers offer the best customer service. 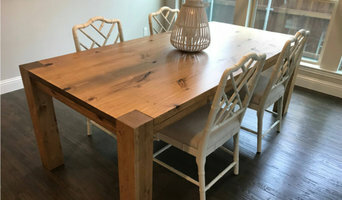 If your style or Texas space is unique, it will be wise to consult a custom furniture maker. Here are some related professionals and vendors to complement the work of furniture & accessories: Interior Designers & Decorators, Artists & Artisans, Kids & Nursery, Wardrobe Designers and Professional Organisers, Bedding & Bath. 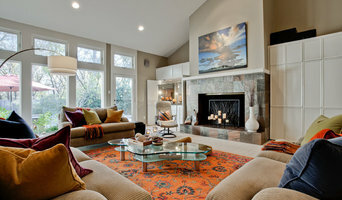 Many Texas home furnishers offer interior design consultations or room planning guides to get you started. Whether you decide to work with a home decor specialist or to become your own expert, it’s important not to rush the furniture-buying process. Visit plenty of Dallas, TX showrooms and stores so you can feel comfortable with your purchase. Find furniture and accessories manufacturers, showrooms and retailers on Houzz. Narrow your search in the Professionals section of the website to Dallas, TX furniture and accessories, then choose the nearest metro area for showrooms and retailers. Or you may want to look through Texas photos to find designs you like and contact the furniture manufacturers and showroom galleries directly.